Naturally, I started cramming Post-It Notes into my mouth to avoid punching my screen. Then I wondered: Is this the kind of content we’re okay creating? Maybe it was the headline, or maybe it was the surprisingly smooth finish of paper and glue, but I realized something in that moment: When all we care to know is “what works,” we so often create hollow or even tone deaf things. Want a widely-read, widely-shared blog post on Medium? Make a broad, sweeping statement. Take a side, regardless of the nuanced truth. Make others curious enough to click — or perhaps scared or mad enough. And of course, imply that you know something that they don’t. It’s a clinic in doing “what works” on Medium, and it’s easy to conclude that it worked. Because there it was, sitting atop the Medium home page, driving its numbers ever higher. You can almost anticipate the author’s next article: How I Reached the Medium Home Page with My First Post: 7 Secrets to Success. And that’ll probably get lots of views too. As for serving your audience with integrity? Eh, whatever. Is this it? Really? Is this what Business Internet just IS now? I know it. You know it. 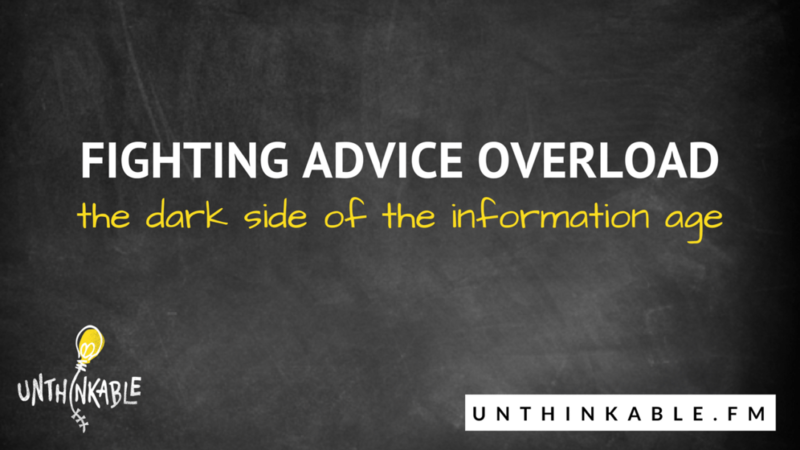 But we’re up against the dark side of the Information Age: Advice Overload. It’s become so easy to justify work that feels … icky. The tips and tricks, the cheats and hacks, the get-rich-quick schemes. Is that really what we want to create and consume? Really? I mean, is this IT? Look, do you want to thrive or just survive? If you want to merely survive, I have amazing news: You can Google it. You can put in on repeat. You can “But my boss”-yourself straight to average work in no time flat. But if you want to thrive, well, you have to do the hard thing. You have to think for yourself. You have to clear away all kinds of clutter and distill the work down to the simple things. And it’s the simple things that are so often the hardest things to make others see. After all, we believe: Make stuff we’re proud of and that our audience loves too and the rest gets easier. But “the rest” is what others tend to see. They obsess over gaming systems. They agonize over eking out a few more results from annoyed audiences. They want to know the exact words to use in our headlines, instead of WHY we publish at all. They want to know how to “generate” subscribers, instead of creating things worth subscribing to. And here’s the deal: I know you have the right intent. But now … you have PROVE IT. 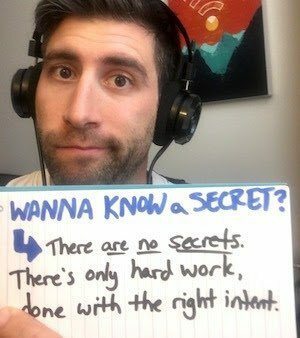 I’m asking you to show, not tell. I’m asking you to test instead of talk, to execute instead of hope. I’m asking you to ask yourself the right questions, instead of obsessing over everyone else’s answers. It’s not easy. But you’re also not alone. I promise to question conventional thinking using what I know about my own context. Do you? If you do, maybe you’d make better decisions, faster. I promise to pay more attention to my audience than my industry. Do you? If you do, maybe your audience would pay more attention to you. I promise to make the process the point, not the end results. Do you? 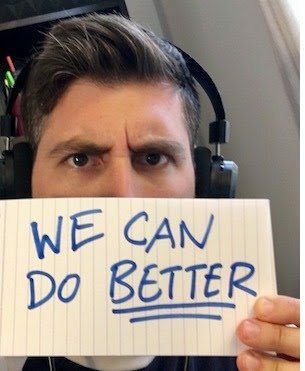 If you do, maybe you’d get better end results. Maybe it’s more powerful that you know how to find answers than know THE answer. After all, THE answer will change. But if you and I can approach any situation in our ever-changing world and know how to figure it out … we’d be unstoppable. When what THEY say becomes what WE do, we do average work. The post Fighting Advice Overload: It’s Time to Build a Better Business Internet appeared first on Unthinkable.